At the start of this chapter, we briefly introduced named entities (NEs). Named entities are definite noun phrases that refer to specific types of individuals, such as organizations, persons, dates, and so on. Table 7-3 lists some of the more commonly used types of NEs. These should be self-explanatory, except for "FACILITY": human-made artifacts in the domains of architecture and civil engineering; and "GPE": geo-political entities such as city, state/province, and country. two fifty a m, 1:30p.m. (5) The Washington Monument is the most prominent structure in Washington, D.C. and one of the city's early attractions. It was built in honor of George Washington, who led the country to independence and then became its first President. Analysis of the question leads us to expect that an answer should be of the form X was the first President of the US, where X is not only a noun phrase, but also refers to a named entity of type PER. This should allow us to ignore the first sentence in the passage. Although it contains two occurrences of Washington, named entity recognition should tell us that neither of them has the correct type. How do we go about identifying named entities? One option would be to look up each word in an appropriate list of names. For example, in the case of locations, we could use a gazetteer, or geographical dictionary, such as the Alexandria Gazetteer or the Getty Gazetteer. However, doing this blindly runs into problems, as shown in Figure 7-5. Figure 7-5. Location detection by simple lookup for a news story: Looking up every word in a gazetteer is error-prone; case distinctions may help, but these are not always present. Observe that the gazetteer has good coverage of locations in many countries, and incorrectly finds locations like Sanchez in the Dominican Republic and On in Vietnam. Of course we could omit such locations from the gazetteer, but then we won't be able to identify them when they do appear in a document. It gets even harder in the case of names for people or organizations. Any list of such names will probably have poor coverage. New organizations come into existence every day, so if we are trying to deal with contemporary newswire or blog entries, it is unlikely that we will be able to recognize many of the entities using gazetteer lookup. Another major source of difficulty is caused by the fact that many named entity terms are ambiguous. Thus May and North are likely to be parts of named entities for DATE and LOCATION, respectively, but could both be part of a PERSON; conversely Christian Dior looks like a PERSON but is more likely to be of type ORGANIZATION. A term like Yankee will be an ordinary modifier in some contexts, but will be marked as an entity of type ORGANIZATION in the phrase Yankee infielders. Further challenges are posed by multiword names like Stanford University, and by names that contain other names, such as Cecil H. Green Library and Escondido Village Conference Service Center. 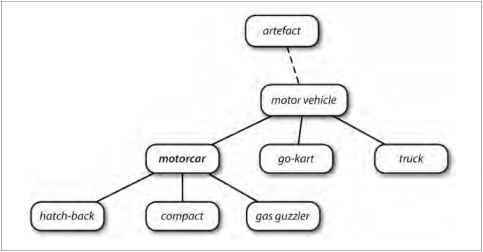 In named entity recognition, therefore, we need to be able to identify the beginning and end of multitoken sequences. In this representation, there is one token per line, each with its part-of-speech tag and its named entity tag. Based on this training corpus, we can construct a tagger that can be used to label new sentences, and use the nltk.chunk.conlltags2tree() function to convert the tag sequences into a chunk tree. NLTK provides a classifier that has already been trained to recognize named entities, accessed with the function nltk.ne_chunk(). If we set the parameter binary=True O, then named entities are just tagged as NE; otherwise, the classifier adds category labels such as PERSON, ORGANIZATION, and GPE.